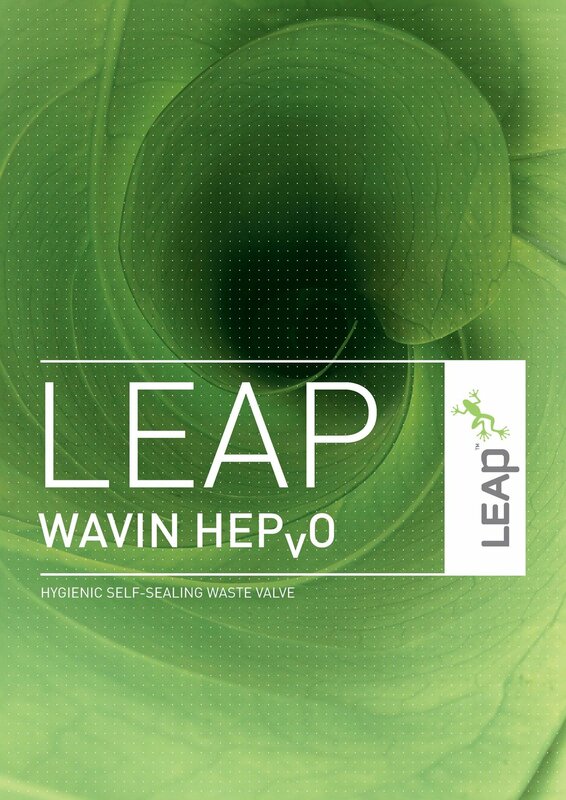 HepvO is a unique self-sealing waste valve that prevents the escape of foul sewer air from waste water discharge systems and actively maintains the pressure equilibrium in soil and waste installations. As a dry sealing valve, HepvO utilizes a purpose designed membrane to create an airtight seal between the living space and the drainage system. The self-sealing valve opens under the water pressure of a fixture while it is emptying, and closes to form a tight seal after the fixture has discharged under normal atmospheric conditions. HepVO is not affected by siphonage and will therefore not allow the escape of foul air into the living space from the drain or sewer. The HepVO valves promotes hygiene, particularly where a fixture is infrequently used. HepVO differs from conventional traps, which can dry out or hold water which can become stagnant causing the emission of smells and enhancing bacterial growth. The flexibility of the HepVO valve seal prevents the accumulation of limescale. HepVO actively eliminates negative pressure within the waste system by opening and allowing in fresh air until a state of equilibrium with atmosphere is reached. It subsequently closes to reseal the waste system and prevent foul air release. This means that the venting of the waste system is improved. In many cases, on an RV for example, the inclusion of a branch air admittance valve is no longer necessary. HepVO allows the placement of a greater number of fixtures together on fewer discharge pipes without compromising performance of the sanitary discharge system. HepVO operates silently and is not subject to “gurgling” noises typically associated with siphonage and indicative of a breech in the water seal barrier. Perfect to solve problems in existing failing systems and on applications where fixtures are only used occasionally, such as RV’s, guest bathrooms, holiday homes, boats and mobile homes. The HepVO valve will perform under back pressures which are ten times greater than those experienced in a typical soil and waste system. HepVO continues to perform when fats, solid foodstuffs, and other household materials are rinsed down the drain.